I lost my first 35 pounds through traditional dieting, i. e. eating less and exercising, then I got “stuck”. This book educated me about food and how to eat properly. The lessons learned enabled me to go on to lose a total of 60 pounds in eight months, and to keep it off! This is not a diet book, rather a book that teaches you about food and how to live healthy! Permanent weight loss has escaped the world of “would-be dieters” out there. Many of the so- called experts continue to contradict each other with the newest fad diet to hit the bestseller list. The book that should be the one on the bestseller list is Dr. Joe Klemczewski’s, Metabolic Transformation. He puts and end to the years of yo-yo dieting and educates his readers and clients at the same time. Dr. Joe’s experiences of being a physical therapist, professional bodybuilder, and nutritionist with graduate degrees in health and nutrition help him to take all those complex fields and simplify them so that anyone can understand the intricacies of the human body. In effect, the book allows you to become your own nutritionist. All of Dr. Joe’s beliefs and procedures to do his diet are fully backed on years of research in his own experiences as well as the research in the health and nutrition related fields. Doctors would have a hard time refuting the ways and diet procedures of Dr. Joe because of all of his years of research. Each chapter has the main points highlighted and summarized at the end to further simplify how to follow your Metabolic Transformation. For starters, the book explains about one’s metabolism and how each person is different and one generic plan does not work for everyone. Body typing is also very important in how one would go about determining their total calories for each day. In terms of body type I am referring to whether you would be an ectomorph, a mesomorph, or an endomorph. Each person has little things that make him or her special from the next person. One can take the book a step further and work with Joe personally online. Nothing works as well as a one on one nutrition-consulting program with Dr. Joe, whether you are looking to enter a bodybuilding show (Joe’s specialty) or just wanting to get yourself back into shape. Dr. Joe helps to kick-start your metabolism and lose the right kind of weight, FAT!!! while preserving muscle. This statement even holds true for yes even the women. With your new metabolism, one must learn to space their meals out properly. This is another big key to eating enough calories and limiting your portions while keeping your metabolism in high gear. Next, Dr. Joe looks into how each calorie dense nutrient works in your body. He explains about carbohydrates, fats and proteins. Knowing how each nutrient works also creates the saying how a calorie is not just a calories as we have been told for years. Total calories are very important, but even more important are the ratios in which you eat them. Certain foods and nutrients affect the body’s metabolism in different ways. Recipes and food preparation are keys to successful eating habits. Each person will create recipes according to his or her recommended portion sizes. Dr. Joe believes that through knowledge and understanding one can create limitless combinations with the foods found less processed and with the help of today’s quick and convenient higher protein snacks. With all of your newfound knowledge, it is now time to carry out the plan. Dr. Joe Klemczewski has plenty of information inside the book to get started and is definite must have, but to truly get the proper understanding and know how of Metabolic Transformation I highly recommend the personal one on one nutritional counseling program through the internet. It will be the best $500 you have ever spent. He usually carries the program over a six-month time frame and works with you personally to figure out your ideal numbers to attain your goal, permanent weight loss. He even takes the guesswork out of that last critical week we as bodybuilders know as “Peak Week” the last week before a show, which can make or break you on your big day up on stage. All the more for you bodybuilders to take the plunge and work with Dr. Joe one on one. All that guesswork now is just a formality and the only thing one needs to worry about is posing and genetics. I may be a little biased in this situation but the facts don’t lie and success is hard to argue with. Over the past three years of working with Dr. Joe, I have turned 2nd’s into 1st’s and just this past June, I won the Men’s Open bantamweight class at the 25th INBF Hercules Championships which qualified me to turn professional in the WNBF. Dreams do comes true through hard work and persistence. No matter which way you choose, the book itself or personal nutrition consulting online with Dr. Joe, it is a win-win situation. I highly recommend getting the book to feel out what Dr. Joe is all about and if you are ready to make that serious commitment go to his website, www. joesrevolution. com and change your life!!!! This is a great book about weight management. I personally was fed up with all of the other books (Atkins & Weight Watchers) and wanted something that tells it like it is without trying to sell me something. Dr. Klemczewski starts the reader right away by introducing a chart that recommends the amount of protein, fat, and carbohydrates needed for fat loss based on height. 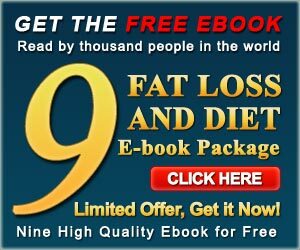 This is the foundation for the rest of the book as he then explains in easy-to-understand language the reasoning behind the numbers and the myths that are abound in regards to protein, fat, and carbohydrates. He also walks you through a 6 week plan to get the reader started. However, if you are looking for a book with receipes, this book does not have any. Instead, the reader is expected to journalize what they eat and maintain the numbers within his chart. I actually found it easier than points or other methods because nutritional information he requested is readily available on food labels. It also helped using Microsoft Excel. I had obtained the earlier version and found this book had some additional graphics and information. My weight loss has been consistent as he states and in total I have lost about 25 pounds.